Religions have always been technologies of belief, protocols for organizing environmental and social interactions. But today’s faiths, adapted for ancient agrarian conditions, no longer serve us, and in fact imperil our habitat. New Peace rejects the old dualisms of nature vs. culture and spirit vs. matter, instead fostering a non-dual conception of reality. It is a new protocol to understanding one’s place in the vastness of time and space and a toolkit for building new myths and meanings for a world undergoing profound changes. A radically inclusive, secular faith of the real. A mysticism for the anthropocene that fosters a spiritual relationship to matter itself. No divine beings, transcendent realms or eternal essences necessary: only the true infinite creativity of pattern, matter, and energy. 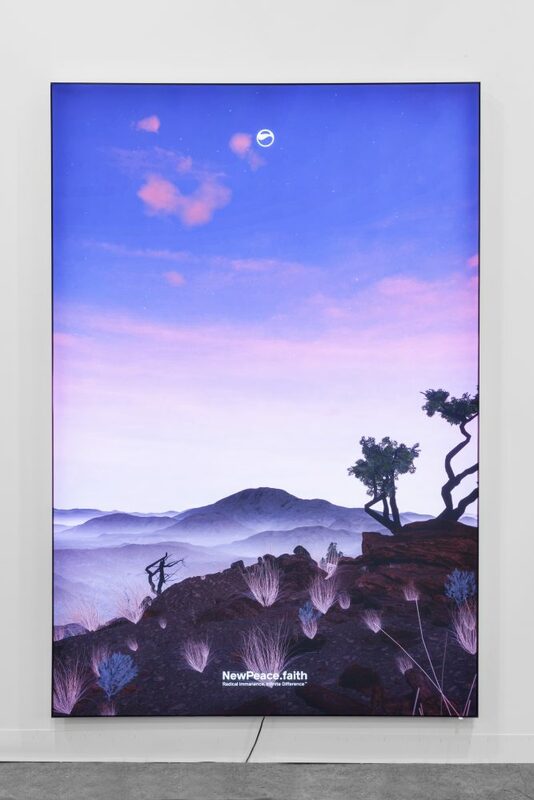 Timur Si-Qin is a New York-based artist of German and Mongolian-Chinese descent who grew up in Berlin, Beijing and in a Native American community in the American Southwest. 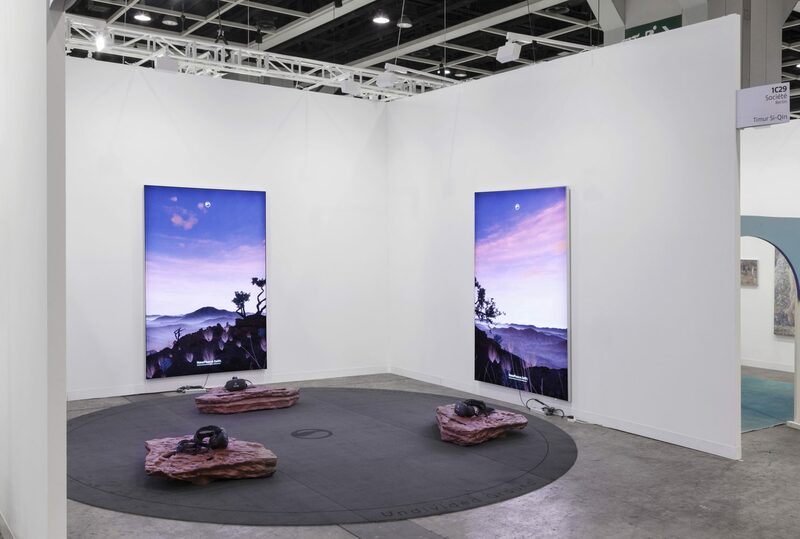 Si-Qin’s work is developed in conceptual, branded cycles which serve as frameworks for his sculptural environments, sculptures, light boxes, CGI videos, and other media. 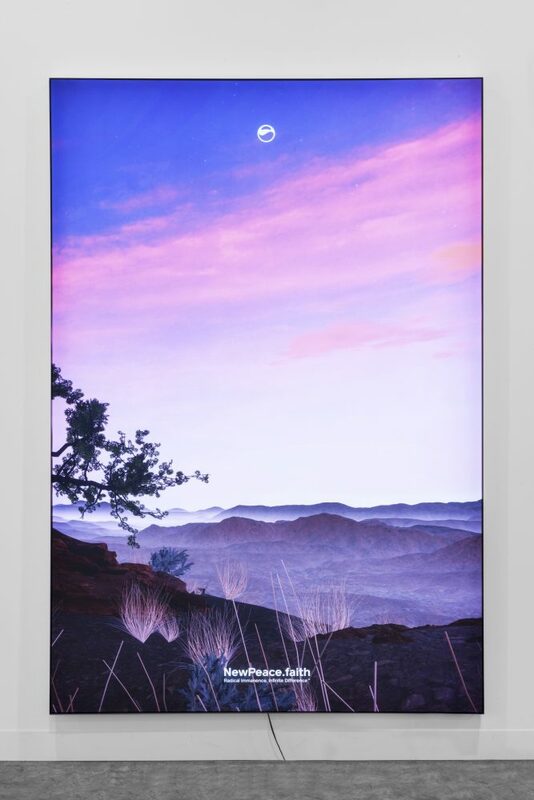 In Campaign for A New Protocol, Si-Qin launches a drive to communicate a new sense of non dualistic and secular spirituality adapted for the future. 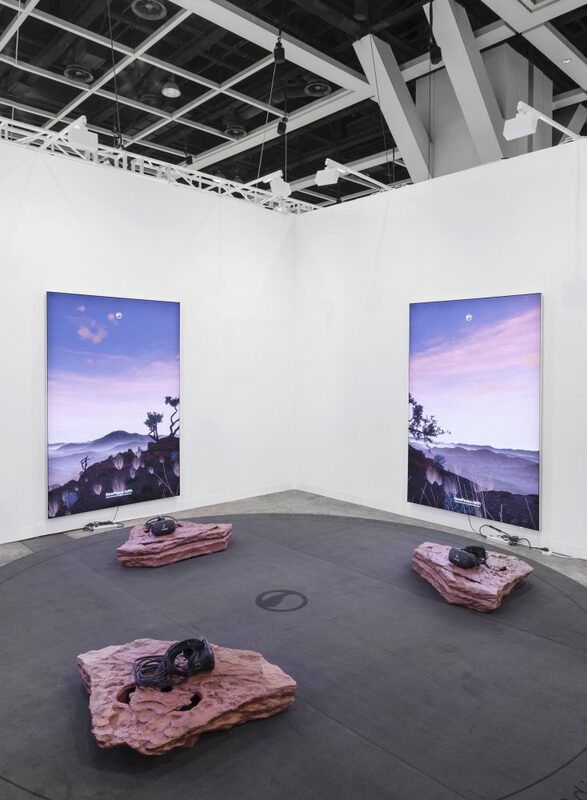 Here, the natural and the synthetic coalesce beyond the dualities through digitally rendered landscapes of New Peace’s advertisements and in an immersive virtual reality experience. 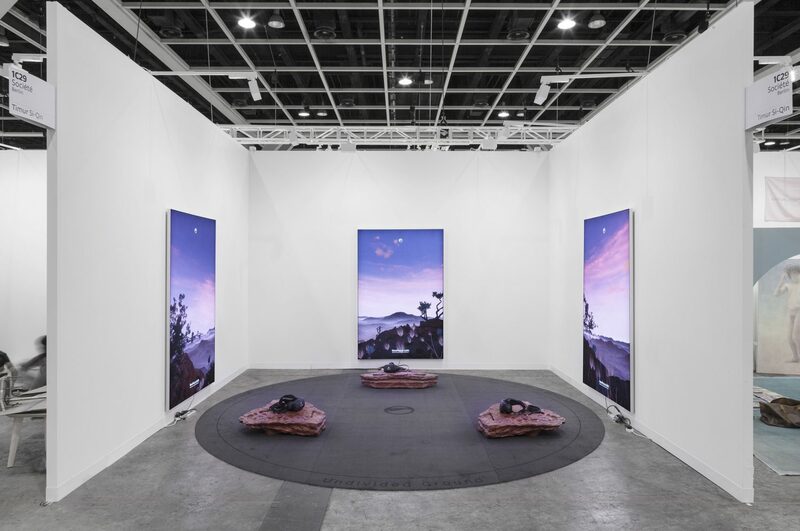 For Art Basel Hong Kong, Si-Qin delves deeper into the substance of New Peace with Introduction to a New Protocol – a virtual reality experience and installation that immerses viewers in a digitally rendered landscapes and in the new spirituality’s basic rhetoric. Here, the natural and the synthetic coalesce in a space beyond the spirit/matter dualities New Peace seeks to shed.